Where in Australia does Able provide services? Able provides disability services and supports in Melbourne, Tasmania, ACT and South East Queensland. We provide transport services and community services for seniors in South East Queensland. In Melbourne we can provide a full range of services for adults in many locations throughout the metro area, coordinated from our office in Camberwell. We can provide Supported Independent Living in your own home or one managed by Able. Our Day Programs comprise of many recreational activities including music and art therapy and are based in Camberwell and Reservoir. Many of our clients live in their own homes and we offer 1:1 Community Participation to assist with everyday living and connection with the community. To enquire about availability of Melbourne services, please contact us or call 1300 225 369. 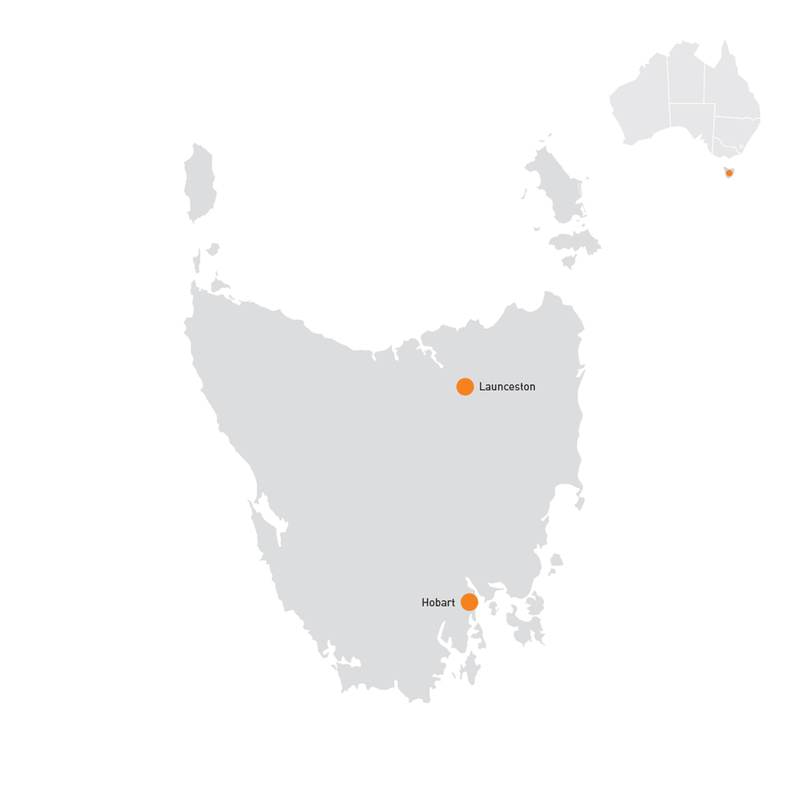 In Tasmania we offer disability services to adults with services coordinated from our offices in Hobart and Launceston. Our Day Programs operate out of two day centres based in Newnham and Bridgewater. The Young Adults Program provides a recreational program in Invermay, suitable for those aged between 18 and 30. Many of our clients live in their own homes and we offer 1:1 Community Participation programs to assist with everyday living and connection with the community. To enquire about availability of Tasmanian services, please contact us or call 1300 225 369. In the ACT, we offer Supported Independent Living in your own home or one managed by Able. We also provide 1:1 Community Participation programs to assist with everyday living and connection with the community. Our office is in Wanniassa. To enquire about availability of services in the ACT, please contact us or call 1300 225369. We provide a range of disability services in SE Queensland and are continuing to grow our service offering in the area. To enquire about how to access disability services in Queensland please contact us or call 1300 225 369. We provide transport services for seniors in Ipswich and Jimboomba. We also proudly deliver our community supports, including the Active Living Program for Seniors and Community Visitors Scheme in Ipswich. In Jimboomba and Lowood we provide meals for seniors. We also have a food pantry in our Jimboomba location. To enquire about how to access senior services in Queensland please contact us or call 1300 225 369.